Rio Carnival 2018 kicked-off with hundreds climbing onto enormous, extravagant floats and hundreds more still gathered in brilliant costumes, drumming and dancing to pulsing samba music. Stretching 700-plus meters of technicolor jubilation, the legendary party parade announced the official return of Carnival season once more. This year’s parade pitted 13 of the best samba schools – large groups of performers who prepare year-round for the Carnival - against one other to perform and party through the Sambadrome, a special built stadium for the event. The samba schools are judged on categories such as costume, flow, theme, music, and overall performance. Rio de Janeiro’s Beija-Flor samba school took home top honors at the 2018 contest for their socially conscious theme decrying government corruption and violence through the allegorical story of Frankenstein’s monster. In another intriguing wrinkle, according to Rio Carnival samba contest rules, the last place samba school isn’t permitted to compete the following year. The intent is to continually increase the level of competition every single year. All told, it is estimated that more than 6 million people, including 1.5 million visiting revelers in addition to the Cariocas (the people of Rio de Janeiro), took to the streets of the Cidade Maravilhosa this year - fueled by samba rhythms, joyous fervor, and a sense of adventure – to drink in everything Carnival. Some 400 years after the first Rio Carnival was held to honor the Greek wine gods, and a couple centuries after the Carnaval blocos first paraded through the dynamic city streets of Rio de Janeiro, people around the world still can’t resist the beckoning beats and scintillating costumes of one of the largest and most highly energized parties on the planet. The jubilant atmosphere once again took over nearly every corner of the city in 2018, as visitors and locals shared in the revelry. Whether at the exclusive Magic Ball at the Copa or at the hundreds of nightly non-stop, everyone-is-welcome street parties featuring street bands playing samba music until after the sun comes up, Carnival truly is for everyone from everywhere. This year, Southern Explorations guests attending Carnival explored Copacabana and Ipanema neighborhoods and joined street parties throughout the Carnival, while also taking time to experience Sugar Loaf Mountain on the aerial tram and visiting the iconic Christ the Redeemer statue, and – of course – took in the unforgettable Sambadrome Parade. Don’t miss your chance to lose yourself in the festivities in 2019! 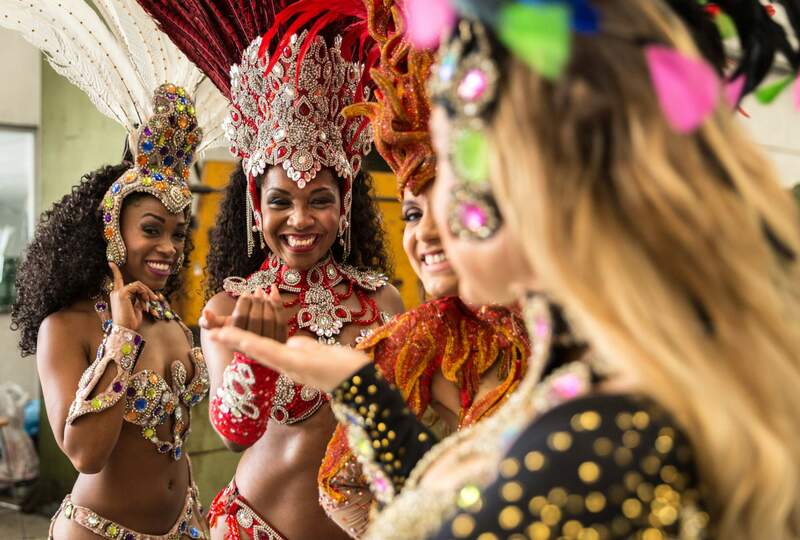 As you can imagine, space and tickets for the best party on Earth move quickly, so be sure to give our team of Latin America specialists a call today and get started on creating your optimal Rio Carnival trip for 2019!